With 4.4 million visitors a year, Budapest is more popular than ever. It’s no wonder, when the Hungarian capital offers such a rich and diverse cultural experience. 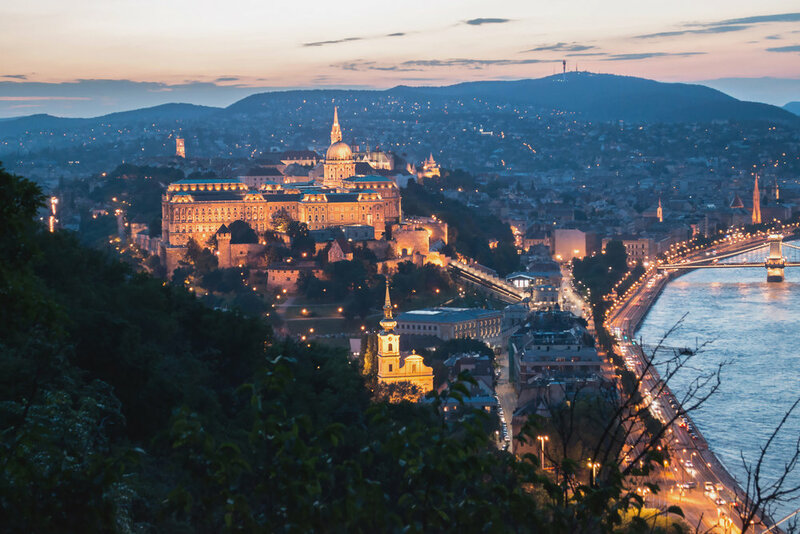 Travelling across the iconic Chain Bridge to the world’s third largest Parliament building and up the hill to Buda Castle will give you a taste of some of the best that Europe has to offer. However, what if you want to escape the crowd and experience some hidden beauty spots? Well, Budapest has you covered there as well. Here are the five most amazing hidden gems to add a splash of novelty to your Hungarian holiday. When you think city break, you are probably picturing museums, bars and concrete streets. In Budapest, however, there is the opportunity to experience outstanding natural beauty. Buda Hills rise to 500 metres above sea level. From here, you’ll experience calm, quiet and spectacular views of the city. Getting there will take some planning, but the Metro M2 line will drop you off near the cog railway system. Built in 1874, the cog railway is the traditional way to head into the Hungarian hills. From here, enjoy the many hiking routes. This allows you to combine an urban weekend escape with a gorgeous countryside retreat. Okay, this one takes the hidden beauty spots theme a little too literally. Many visitors to Budapest are unaware of the staggeringly vast network of cellars hidden beneath the castle. Heading deep underground, you’ll have the chance to experience the city from a unique perspective. With new exhibitions continuously popping up, travellers who venture into the labyrinth can expect different experiences each time. You will be given a traditional lantern for a haunting, but sublime atmosphere. There will be moments of total darkness, chillingly beautiful opera music and an up close and personal encounter with Hungary’s turbulent history. Explore this underground world for yourself to discover new secrets. Unless you are a huge literature enthusiast, you probably don’t spend your trips abroad checking out the local library. 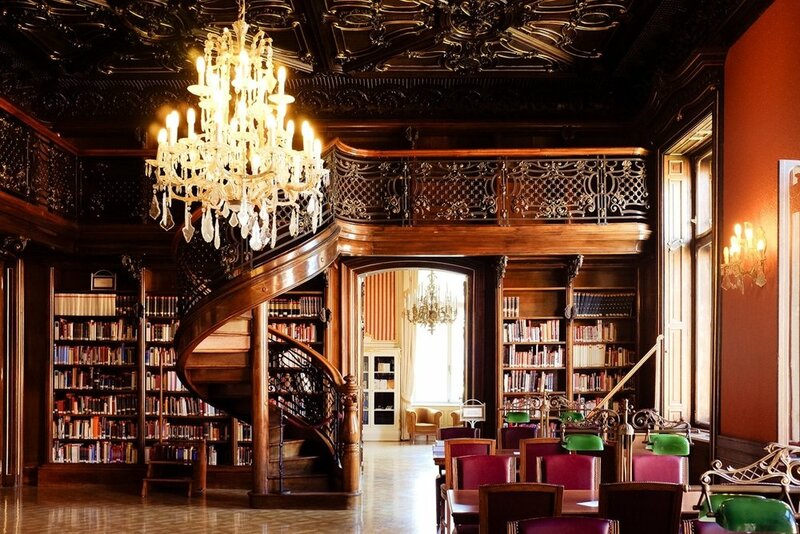 However, the Szabo Ervin library is a little different. With a 1.1 million book volume capacity, this is the largest library in Hungary. It is also one of the most beautiful in the world. Located in a trendy student area, walking to the 19th Century, neo-baroque building is a pleasant experience in itself. Once you arrive, pay a small fee and enjoy a maze of stunning interior design and dusty old books. You will find works in several languages, so it is easy to spend an entire afternoon losing yourself in the stories contained within. Partying is an important part of many people’s trips to Budapest. If you want a truly unique and authentic experience, then finding the right bar is essential. One of the quirkiest places on offer is the For Sale Pub. From the outside, it looks like any standard bar, serving local pub grub and cheap beer. However, once you enter you will discover why it is known as the For Sale Pub. Every inch of the interior space is filled with little paper adverts from patrons and passers-by. In total, this creates a stunning and spectacular aesthetic, like no other pub you’ve ever visited. Feel free to draw a picture or write your name and leave your own mark on this special little pub in the heart of Budapest. Despite containing around 2 million residents and visitors at any time, it is surprisingly easy to escape the crowds in Budapest. Feneketlen Lake is a serene spot just on the outskirts of the city centre. The word Feneketlen means “bottomless”, reflecting the peaceful, void-like atmosphere of the still waters. You can relax in the sun on the soft grass or take advantage of the many exercise facilities, such as the tennis courts and running track. You will be within a stone’s throw of your centrally located hotel, while surrounded by natural sounds and wildlife. Enjoy the local cafés and reflect on how pleasant the city of Budapest really is. True travellers love to get off the beaten track. There is nothing wrong with the big tourist attractions, but sometimes it is those hidden gems which really take a trip to the next level. Explore any of the five options above for a unique trip to some of Budapest’s undiscovered beauty spots.